For the most part, when people complain about DC adaptations, that ill will doesn’t extend to the small screen. Greg Berlanti’s carved out an amazing niche for himself, Arrow, The Flash, and most recently, Supergirl on the CW Network. So when the network announced at the Television Critics Association summer press tour today that Berlanti would be entrusted with another superhero property for the CW Seed, we didn’t so much as blink. Well, we did blink, but only because that’s involuntary—we’re actually thrilled. 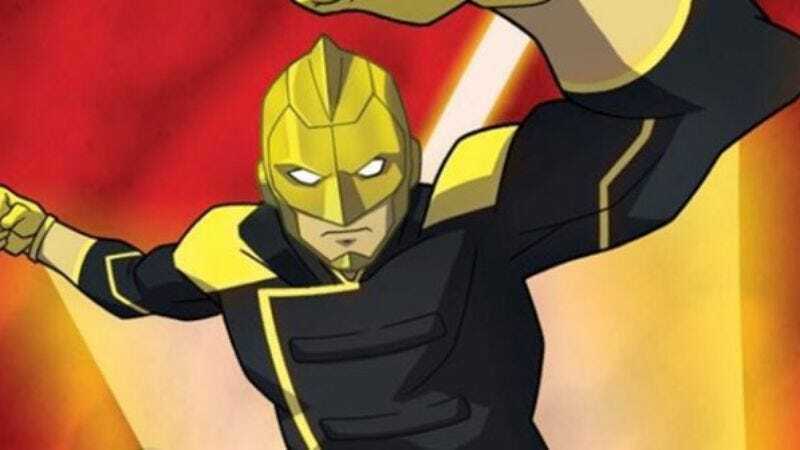 Berlanti will produce an animated series about DC Comics Freedom Fighter The Ray, with an eye on a future live-action iteration. Like so many other super mantles, The Ray identity has been assumed by multiple characters in the comics. But it’s the Ray Terrill iteration from Grant Morrison’s Multiversity that will inform the TV character. According to the CW Seed, Terrill’s backstory is that he’s a reporter who stumbles upon “a group of government scientists working on a secret project to turn light into a weapon of mass destruction.” Unfortunately, before he can get to a payphone to dictate the story to a transcriber, Ray is exposed to a “genetic light bomb,” and ends up with light-based powers. Most significantly, the CW Seed notes that The Ray will be the first gay superhero to lead a TV series. This is a big development for the network’s streaming counterpart and DC, and it stems in part from Morrison’s push for greater representation in comics. Berlanti will produce the animated series with Arrow and DC Legends Of Tomorrow’s Marc Guggenheim; it’s expected to debut in 2017.